We ship via US Postal Service. When ordering CDs and thumb drives, you will have the option (depending on your location) to choose Priority Mail (2-3 business days after ship date), First Class (5-7 days) or Media Mail. If you need it by a certain date, please let us know so we can be sure to mail it out same day if possible. Sorry, we are unable to ship items via overnight or express mail at this time. DOWNLOADS - We will ask and trust you to delete downloaded product and not share or use it after receiving your order refund. 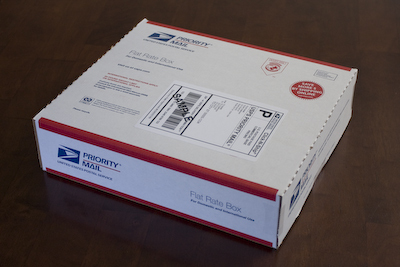 SHIPPED PRODUCTS - Simply return them to us to Pfeiffer House Music at the address on your packing list or invoice. When we receive product back and/or confirmation that you've deleted the downloads, we will issue the full purchase refund. Sorry, we do not pay for return postage.